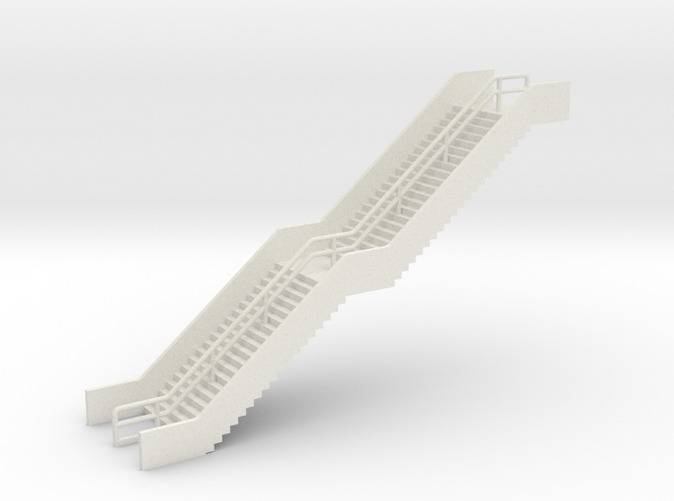 Staircase with center railing in N Scale. 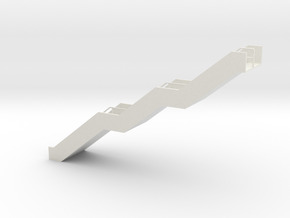 This type of stairs is used in stations and other buildings with large amounts of visitors. 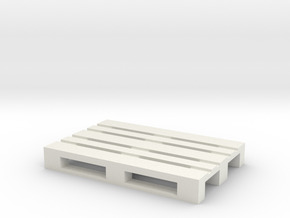 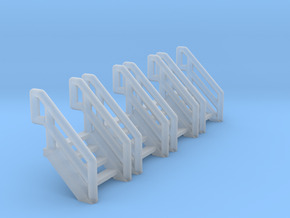 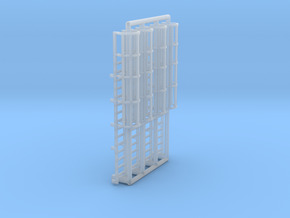 Total width 23mm, width of steps 2x10mm, height to top platform 50mm.